Food security remains a priority for Azerbaijan, as that allows to provide population with local and quality products, and to reduce dependence on imports. The establishment of the Stocking and Supply of Food Products OJSC will play a crucial role in resolving food security problems in the country, believes MP Vahid Ahmadov. President Ilham Aliyev signed a decree on the establishment of the Stocking and Supply of Food Products OJSC, which will be engaged in resolving food security issues in the country. The decree signed on April 11 says that the new body will be established under the Agriculture Ministry. This new body is established to stimulate production and processing of agricultural products, to ensure development of producers of agrarian goods, to further improve the quality of food products, to provide rational use of public funds, to create the soil for improving the social welfare of the population engaged in the agricultural sector in the regions, as well as to provide a centralized implementation of purchase of food products by the state order. The new body will focus on purchase of food products from the manufacturers and sellers of the product, their stocking and transfer to purchasing organizations. Ahmadov, pointing to existing problems in the agrarian sector, said that Azerbaijan has recently constructed several refrigerators in the regions to prevent the products from being spoiled. "However, there were some problems with the cost of the refrigerators. But now, such a body was established, which will ink deals with farmers and purchase their products, and then deliver them to the market or export to foreign markets. This will be the body's activity," he added. This body will allow farmers to focus on production of agrarian goods, while the company will organize the products' supply to the market and their sale. "The establishment of the CJSC, being an important step towards ensuring food security in the country, will lead to increase of agricultural production, as well as become a support to the agrarian sector," the MP said adding that this body will also allow increasing the share of the domestically produced products in the population's food basket. MP Eldar Ibrahimov agrees that the establishment of such a body will encourage local producers of food products. "Producers of food products will exactly know that they have a definite customer in the face of the state, which will purchase a certain part of the product produced by them," he told Trendon April 12. The products purchased by the OJSC will be used for meeting the food needs of kindergartens, military units and so on. "Earlier these facilities were allocated funds from the state budget for purchase of food products. This year some 309 million manats in the state budget are envisaged for these expenses. The facilities often bought imported products, but the establishment of this body will reduce food imports and create conditions for promotion of local producers," the MP noted. Touching upon the mechanisms of operation of the OJSC, Ibrahimov said that this body will study the needs of facilities, as well as the volume of produced food goods. "Most likely, the body will conduct research to figure out the volume of products necessary for facilities, and then order these volumes to producers. A mechanism should be created for this purpose," he added. The state regulation over the operation of the body will allow avoiding the negative aspects, which often faced earlier. "The state, in a centralized way and bypassing the tender, will purchase products and deliver them to the consumer, which will have a positive impact on food security. Also, this will allow avoiding artificial increase of prices of food products. Furthermore, the experience of many years shows that the industry, not supported and not regulated by the state, develops much more slowly. Therefore, the establishment of the OJSC will only lead to positive changes," the MP concluded. The agrarian sector is of significant importance for Azerbaijan, which is keen to reduce its dependence on petrodollars. Azerbaijan, being engaged in increasing export potential, considers the agricultural sector as a tool to diversify the national economy. The state focus on the agrarian sector was recently voiced by President Aliyev, who chaired the meeting of the Cabinet of Ministers on the results of socio-economic development in the first quarter of 2016 and the future tasks. Speaking at the meeting, the head of state pointed to the necessity of developing the agricultural sector. "The development of agriculture has always been a priority for us, and its value has increased even more in the current conditions. We must further accelerate the export of agricultural products," he said. "Food security has always been a priority for us, and remains a priority today. This allows us to provide ourselves with our own products, high quality and clean products, to reduce dependence on imports." He stressed that Azerbaijan should achieve rapid development in cotton breeding, sericulture, tobacco cultivation and tea growing, as well as viticulture. With its advantageous geographic location, Azerbaijan has all possibilities to increase export of high quality agro products, which are in great demand in neighboring countries. Experts believe that with the further development of production of high quality agricultural goods, Azerbaijan will be able not only increase the supply to neighboring countries, but also enter markets in Eastern Europe. Azerbaijan's agricultural sector also plays an important role in providing the 9.7-million population's food security in a best way. Experts believe that this year and in coming years agriculture will become one of the main sectors with export-oriented products which will bring huge revenues to Azerbaijan's state budget. 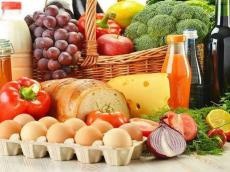 Azerbaijan, within the "Azerbaijan-2020: Vision into the Future" concept, is taking steps to ensure food security in the country, and one of the key elements of this concept is to eliminate dependence on food products imports. The country has been able to achieve this goal in the past five years, and Azerbaijan is expected to be able to fully meet demands through the local production in the coming years.